If you drink apple juice with cinnamon, look after your gums, read, dance and take an aspirin a day - you are well on your way to preventing Alzheimer's disease. When bestselling author Jean Carper discovered she had the Alzheimer's gene, she was determined to find out if there was anything she could do to help herself. In this book, she teaches readers how to take simple and effective steps to prevent Alzheimer's disease, providing the scientific rationale behind the tools in the book and detailing instructions on how readers can apply particular steps to their lives. 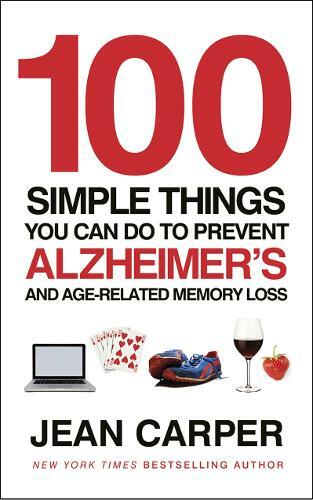 Based on the latest scientific findings and distilled into 100 short chapters, 100 Simple Things You Can do to Prevent Alzheimer's is full of surprising strategies for battling age-related memory loss, including drinking apple juice, taking care of your gums and even simply trying new things.